This medal is plastic with a metallic, foil-stamped edge and comes with a full color printed laminated insert. Choose from gold, silver or bronze foil edge. (other colors available by special request) Please specify colors when ordering. 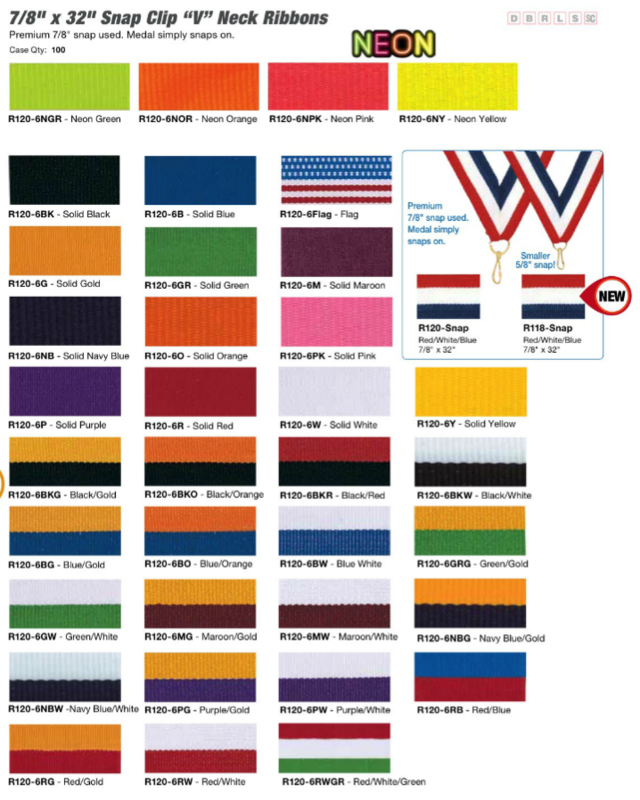 Add a 1.5" Neck ribbon with jump ring or a 0.75" ribbon with snap clip in your choice of color for an additional cost. Red, White and Blue 0.75" ribbon with snap-clip is shown. 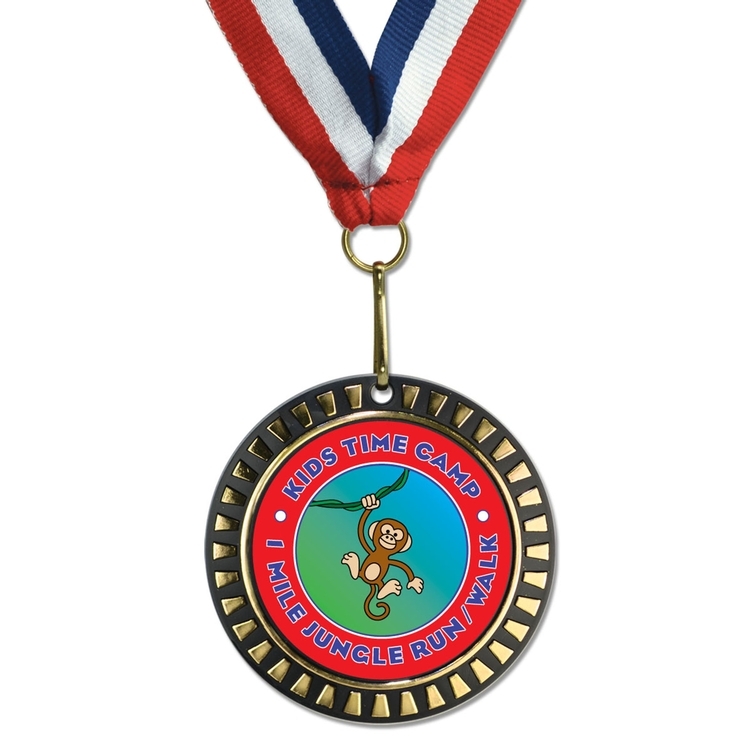 Medal is 100% made in USA, (Ribbon imported).